Home/Plumbing/Why Do Water Pipes Burst in The Winter? The winter months come with a unique set of challenges for home owners. The harsh temperatures put a strain on a home unlike any other time of the year. From the roof crippling under the weight of snow and ice to pipes bursting in the cold, it’s a stressful time for you and your home. Burst water pipes are costly and inconvenient to fix, but many homeowners aren’t even sure what caused them to burst in the first place. 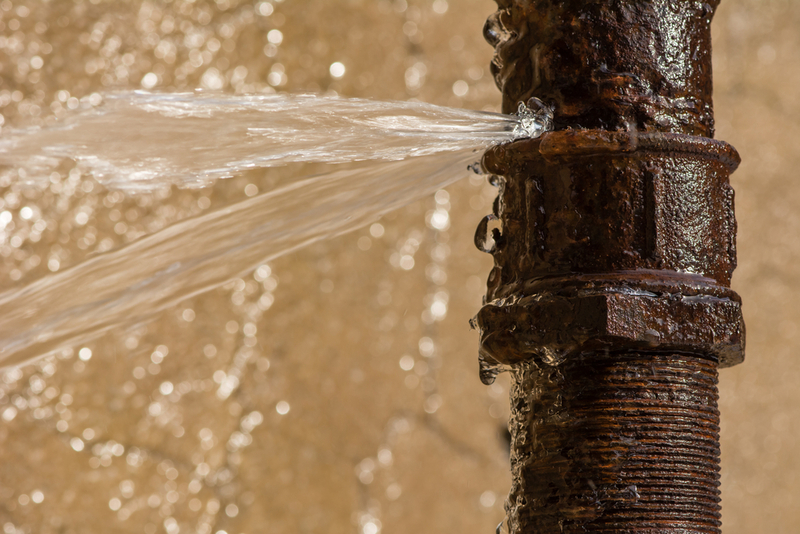 Why Do Water Pipes Burst? Water is a unique liquid for many reasons, but the most notable is the way that it expands before becoming a solid. As temperatures drop and the water within your pipes begins to near the point of freezing, it expands. This expansion puts pressure on the pipes from the inside out, eventually causing them to burst. The colder temperatures cause a change in the density of the water which is an unavoidable act of nature. Now that we understand why pipes burst in the colder temperatures, we need to determine which pipes are the most at risk of a rupture. Water pipes that are outdoors or in uninsulated spaces are at the highest risk for bursting. Garages and crawl spaces are some of the most notable culprits for uninsulated water pipes. To lower the risk of these pipes bursting, you should insulate your attic, crawl space, and garage. If you have water lines exposed outside, consider investing to get them relocated indoors to a heated or insulated area. Dormant pipes are at a high risk for bursting as well. If you have water pipes running to your pool, sprinkler system, or other area that won’t be used during the winter months, you should empty the line completely at the end of the summer. Indoor areas of the home with faucets and other water sources should be used regularly to maintain the flow of water and prevent freezing. In extremely cold temperatures you should turn your faucet on to a slow drip and leave it there. Even that slight amount of water moving through the lines will greatly decrease the likelihood of freezing and bursting pipes. Maintain a normal temperature within your home throughout the day and night and if you’ll be leaving on vacation for a period of time, set the heat to a minimum of 55 degrees to avoid frozen pipes. Have you experienced a pipe burst in your home? Give A+ Plumbing, Heating, and Cooling a call 24/7 at (603) 518-5777.